Kilmer’s private investments focus on companies where our philosophy of patient, long-term value creation compliment a strong management team and existing stakeholders. Coca-Cola Canada Bottling Limited (CCCBL) is Coca-Cola’s exclusive franchised bottling and distribution partner across Canada of Coca-Cola products along with other partner brands such as Canada Dry, Monster Energy, A&W, and Evian. CCCBL has over 5,800 associates and includes a national network of over 50 sales and distribution centres and five production facilities that were formerly part of Coca-Cola Refreshments Canada (CCRC). CCCBL is a Canadian-based joint venture between Kilmer and Junior Bridgeman, a former NBA player, entrepreneur and owner of Kansas City-based Heartland Coca-Cola Bottling Company. Cypress Five Star, Inc. maintains the rights to and operates the Five Guys Burgers & Fries restaurants across much of Canada and Blaze Pizza restaurants across all of Canada and parts of the U.S. Management has been highly successful at optimizing operations and increasing the store base to almost 75 locations and growing. 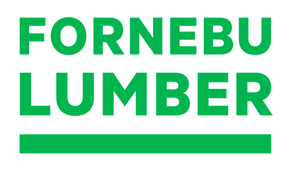 Fornebu is a specialist lumber production and forest management business based in Miramichi and Bathurst, New Brunswick, Canada. The company owns 16,100 hectares of forest and manages a further 943,000 hectares on behalf of the Crown. Fornebu is committed to the use of sustainable forestry practices and meeting the needs of its customers and stakeholders through the responsible management of public and private forests under its stewardship. Directly employing more than 125 people, the company’s framing lumber sawmill cuts 375,000 m³ of timber annually and its total annual timber harvest exceeds 1,200,000 m³. Fornebu’s annual production is approximately 100 million board feet and lumber sales occur throughout North America. Constructed in 1994 by four entrepreneurs, Chaleur is one of the largest mills in Atlantic Canada and located in Belledune, NB, which is about 300km north of Fredericton. This modern and well-maintained sawmill is one of the most efficient and well operated mills. Chaleur’s production capacity, over the years, has grown from 40 Mbft to 170 Mbft, with over 70 thousand metric tons of chips, 50 thousand metric tons of bark, sawdust and shavings being produced. Lumber sales occur throughout Canada and the United States. Based in Montreal, Coalision is a leading active, outdoor apparel company. Coalision produces and distributes the brand Lolë technical, fashion-forward womens active wear inspired by wellness and Paradox, which offers high-performance base layer and outdoor clothing, in Canada, United States, Europe and Asia through over 2,200 locations. Compact Power Equipment Centers Inc. is a rapidly growing specialty outdoor equipment rental company based in Fort Mill, South Carolina. The Company rents specialized small construction equipment, including mini-skid steers, backhoes, trenchers and chippers, to landscape, irrigation, construction and other specialty contractors, as well as do-it-yourself retail customers. In addition, it owns and operates a maintenance services division, which provides maintenance services to some of the largest OEMs and retailers across Canada and the United States, while also providing comprehensive maintenance services for the CPEC rental operations. In 2017 the Company was sold to Home Depot. Altasciences Clinical Research encompasses Algorithme Pharma in Montreal, Quebec. With Kilmer’s support the company has expanded to include Vince & Associates Clinical Research in Kansas City, Missouri, as well as Algorithme Pharma USA in Fargo, North Dakota, thereby making it one of the largest early phase clinical contract research organizations (CROs) in North America. With over 25 years of industry experience, Altasciences provides early phase clinical development services to an international customer base of biopharmaceutical and generic companies. Altasciences’ full-service solutions offering in this critical stage of drug development includes the clinical conduct of the trials, medical writing, biostatistics, data management and bioanalysis. In 2017 the Company was sold to Audax Private Equity. English Bay Batter (EBB), headquartered in Vancouver, BC, is a leading provider of premium cookies and other sweet baked goods throughout North America. In 2017 EBB was sold to French food company Cérélia Group, a leading European bakery business. Atelka Enterprise Inc. (“Atelka”), a leading Canadian-based customer contact management provider, offers comprehensive multilingual omni-channel contact solutions in addition to a complete line of business process outsourcing (BPO) services. Atelka makes every conversation count by focusing its customer-oriented expertise on creating a flawless customer care experience. The company provides wide-ranging enterprise services for a variety of high-profile national companies in the telecommunications, public service and entertainment industries. Founded in 2003 and headquartered in Montreal, Quebec, today Atelka is one of the largest independent Canadian contact centres in the country and employs close to 3,000 people across its eight sites in four provinces: Quebec, Ontario, New Brunswick and Prince Edward Island. In 2016 Atelka was acquired by a large US strategic investor Teletech Holdings. Give & Go Prepared Foods Corp. is a Toronto-based wholesale bakery whose products include the Two-Bite Brownie, Cinnamon Crunchies, Butter Tarts and Two-Bite Coffee Cakes. All of Give & Go’s products are transfat free and made with high quality ingredients and can easily be merchandised on a private label basis by in-store bakery and convenience store customers. Vansco Electronics is a world leader in the design and manufacture of rugged electronic systems and components for heavy equipment OEM’s. Its innovative custom electronic controls, displays, sensors and other related components are used in the agriculture, construction, bus, motor coach and recreational vehicle markets. Based in Winnipeg, Manitoba the company operates manufacturing facilities in Canada, the United States and Finland serving an international customer base with both customized and standard proprietary products. McGregor Industries Inc. is a leading designer, marketer and distributor of men’s and women’s hosiery and high-end loungewear. The company’s products are sold via all of the key retail channels for apparel in over 35 countries worldwide. The company maintains many longstanding customer relationships and licensee relationships. In addition to sales under the company’s own McGregor, American Essentials and Happyfoot registered trademarks, the company also markets its products under a number of highly recognized licensed brands, including Calvin Klein, Claiborne, Gold Toe, Jockey, Levi’s, Michael Kors and Nike. SMTC Corporation, founded in 1985, is a mid-size provider of end-to-end electronics manufacturing services (EMS) including PCBA production, systems integration and comprehensive testing services, enclosure fabrication, as well as product design, sustaining engineering and supply chain management services. SMTC facilities span a broad footprint in the United States, Canada, Mexico, and China. SMTC services extend over the entire electronic product life cycle from the development and introduction of new products through to the growth, maturity and end-of-life phases. SMTC offers fully integrated contract manufacturing services with a distinctive approach to global original equipment manufacturers (OEMs) and emerging technology companies primarily within industrial & commercial, computing & networking, communication & instrumentation, consumer & high-tech electronics, medical & life science and power & energy market segments. Coretec Inc. is a Toronto-based manufacturer of complex, multi-layered circuit boards. It was publicly traded on the TSX prior to its acquisition by DDI Corp. in 2009. Tribal Sportswear is a leading designer, importer and merchandiser of fashionable, value-priced contemporary women’s apparel. Based in Montreal, Quebec, the company specializes in the design, sourcing, merchandising and distribution of branded apparel including pants, shorts, capris, blouses, camisoles, sweaters, suits and jackets. Tribal’s customers include major regional and national department store changes as well as over 2,300 independent retailers across North America. Unisync Group, based in Mississauga, with offices in Guelph and Calgary, is a leading provider of uniforms, workwear and personal protective apparel under the Hammill brand, and corporate uniforms and image apparel. CMC Interconnect Technologies, Inc. is a Phoenix-based company that was founded in 1988 as a technology development company specializing in advanced ceramic materials such as Aluminum Nitride (AIN) for electronic interconnect and packaging applications. Its customers have included Motorola, Raytheon, Kodak and Philips Electronics. The company licenses its patented AIN technology to others and provides a wide range of technology-based services to the electronic packaging and advanced materials industries. Copyright © 2007-2018 Kilmer Group. All rights reserved.